Not Waving, But Drowning’ follows Loyle’s BRIT (Best Male, Best Newcomer) and Mercury Prize nominated, top 20 debut ‘Yesterday’s Gone’. The bedrock of honest and raw sentimentality that you heard on ‘Yesterday’s Gone’ left an inextinguishable mark on music in general and UK Hip Hop in particular, standing out as an ageless, bulletproof debut. 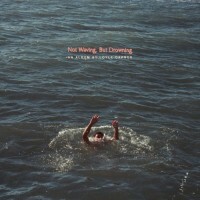 Millie says: Loyle Carner returns with this stunning second album ‘Not Waving, But Drowning’. Again, he has perfected his sound of poetic hip hop and his distinctive vocals makes him stand from the crowd for miles. Bookmark this one for sure!! !